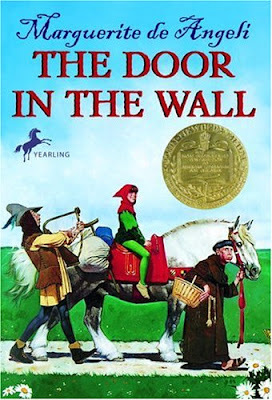 The Door in the Wall was the first book I read for literature this school year. When a boy named Robin gets sick and loses the use of his legs, and his parents leave to serve the king and queen, Robin must figure out how to survive. He is cared for by several monks during this time. When Robin must reunite with his parents, he sets out on a journey to find them and hopefully regain the use of his legs. But a war is raging around them and presents other obstacles in their mission. I really enjoyed this book, although I think I would have enjoyed it more if I had read it in one sitting instead of over the course of a school assignment. I liked how, even though Robin was crippled, he still believed in himself and could do the things he needed to do to undertake his journey. I found it interesting that many of the skills used in the book are still skills used today, like when Robin and one of the monks made his crutches using woodcarving.